Williamsburg Bird in Wreath Hanging Ornament from Jim Shore Heartwood Creek. The Williamsburg collection combines the unique folk art of Jim Shore with the rich history of colonial America. 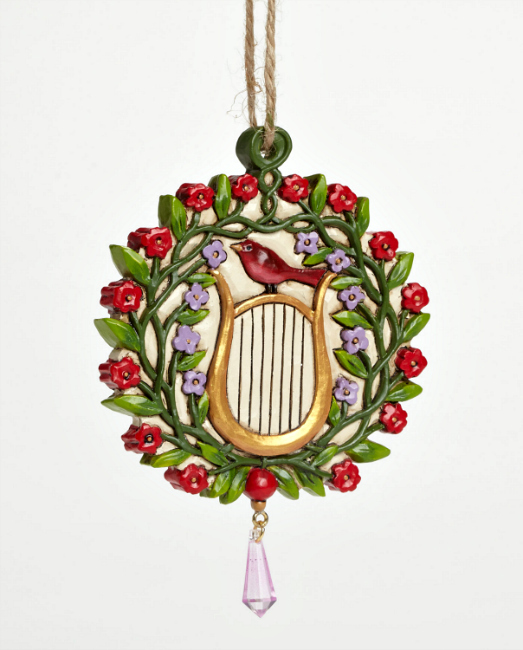 This colorful ornament pays homage to applique motifs found in fabrics from the Williamsburg archives. Measures 4.25 in H x 0.25 in W x 3.125 in L. Made of Stone Resin.